New Student Orientation is going on this month. We are interacting with dozens of incoming students and their families each week as they filter through the Student Union this month. 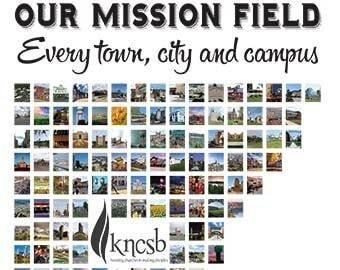 Please pray that God would guide us to connect with students that could become a vital part of God’s work at KSU in the coming years. Summer Challenge is underway. We have 50-plus students participating in summer activities, and 19 are enrolled in our summer discipleship program. Please pray that God would use this summer to help students form God-honoring friendships and grow in their love for Him. Family: The summer is full of activity in our home — swimming lessons, work, baseball games, camp, Bible studies, vacation, etc. Please pray for our family that Gail and I will have wisdom in parenting and that there will be some rest and rejuvenation for the next school year.